As I said on my facebook page, I have been on holidays for 9 days: Stefano and I went visiting his family to Teramo, his hometown in Italy. 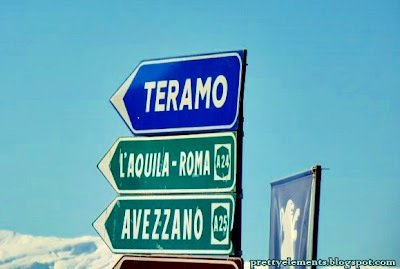 The city is located in Abruzzo, Central Italy (about 2 hours from Rome..). 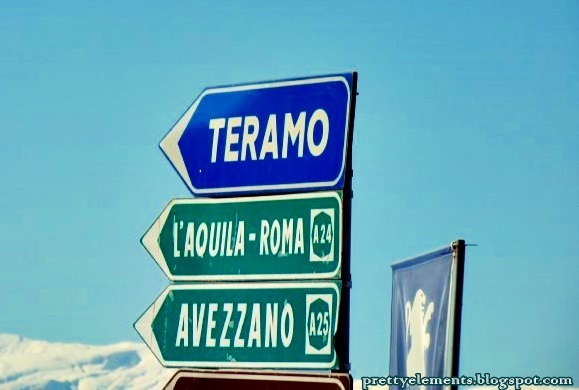 I absolutely love Abruzzo and Teramo. The landscape is so different from my own home town! Abruzzo has mountains and hills, while Puglia is plain and surronded by lovely beaches, so I don't get tired of looking around and simply relax. Below my list of 5 things I love about Italy, Teramo and our holidays there. Beautiful! 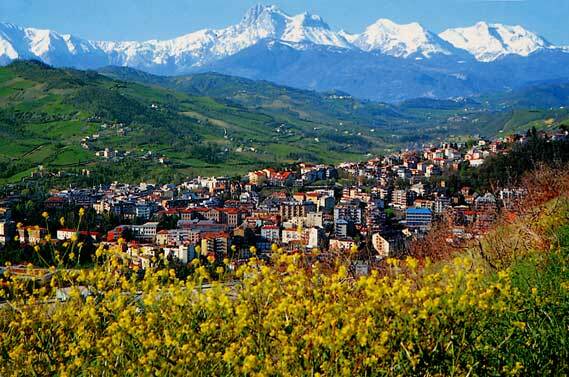 Look at the mountain behind the city, it is the "Gran Sasso". Doesn't it look like a big giant? :) that's how local people name the mountain: the sleeping giant. Well...I haven't met a person so far who said that they didn't love italian food :) I'm not going too much into details about all the gorgeous plates I had last week, but I want to mention the speciality above: Le Virtù! This plate is original from Teramo and it is cooked only on the 1st of May! It was the first time I ate "Le Virtú" and I have to say it is superb! 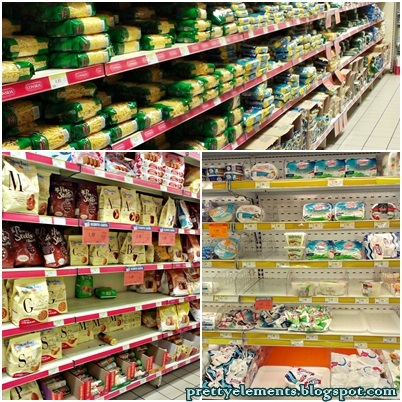 They always smell of clean, the shelves are organised perfectly, the products they sell are amazing (look at those biscuits mmmh). Mmmh! 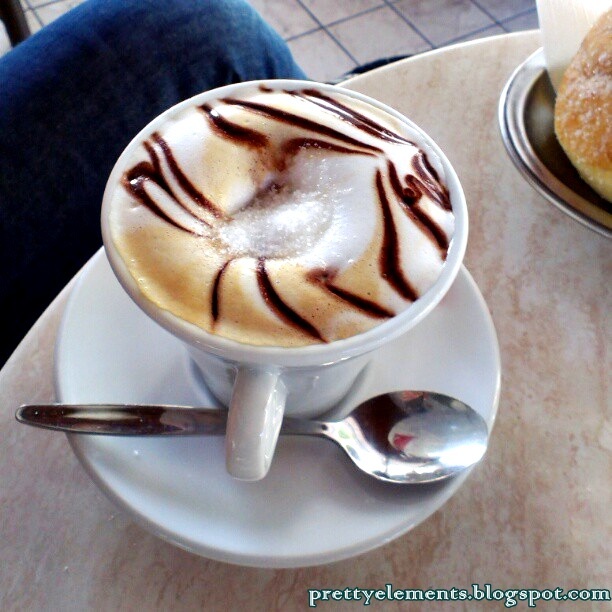 A nice and sweet cappuccino! Breakfast was always a pleasure :) Cappuccino and Cornetto or Espresso and Saccottino...whatever you choose the success is guaranteed! Not only coffee is delicious, but also the pastries and cakes are exquisite! 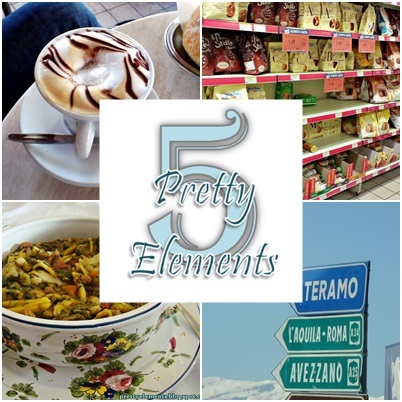 If you plan to go to Italy, don't miss the breakfast and enjoy all those cakes! stopping by from WW from A sorta Fairy tale, what a great trip memories.